She was born at home March 12, 1926 in Morgantown, WV. She was a graduate of Morgantown High School. She worked at Farmers and Merchants Bank and retired from Colshire Manufacturing Company in Morgantown WV. She was preceded in death by her beloved husband of 40 years Donald Teets; her daughter, Linda (Wyatt) Davis; parents, Grover and Mattie (Wolfe) Nuce; sisters, Leora Hatch and her husband Rush ”Pat” Hatch and Toisy Nuce and brothers, Elwood and Kenneth Nuce. 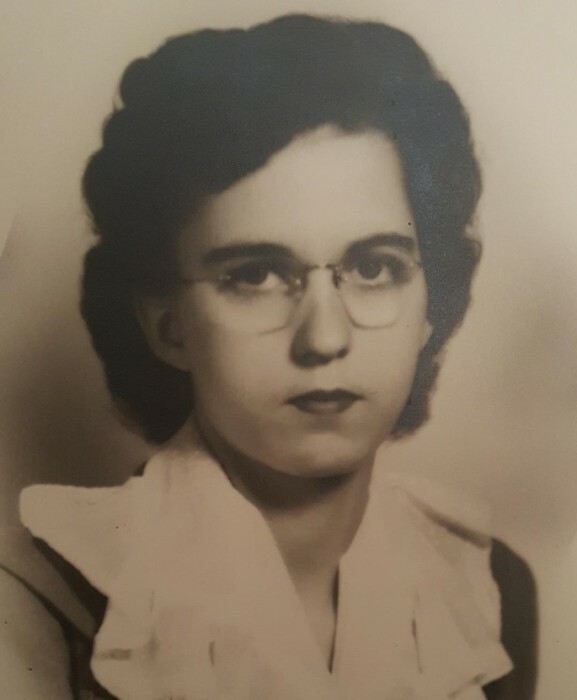 She is survived by her sister Betty (Nuce) Haney and husband Charles “Bud”; sister-in-law, Violet Hostetler and husband Roy; grandchildren, Jennings L. Davis II and wife June and Shelley (Davis) O’Hara and husband Mike; great grandchildren, Breann and Cheyenne Long; many cherished nieces and nephews and dear friends. She and her husband were rarely apart and are now reunited. She loved feeding the birds, WVU Mountaineers and The Steelers, going to flea markets with her sisters and The Charlie Brown Comic strip character. The family will greet friends and family in the Dean C. Whitmarsh Funeral Home, 134 West Church Street, Fairchance, Pa. on Friday from 4 to 7 p.m. and on Saturday, June 23, 2018 from 10 to 11 a.m. The funeral service begins at 11:00 a.m. with Reverend Jim Dice officiating. Interment will follow in Summers Cemetery, Morgantown, WV.